MAGI’s objective has always been to offer diagnosis to patients through counselling and genetic testing for Mendelian diseases. MAGI is proud of the level of excellence it has achieved. It provides specialists with major diagnostic support. The implications of genetics not only concern patients, but their family as well, so that integrated multidisciplinary management is necessary. The availability of specific new therapies makes genetic tests increasingly necessary in diagnostic work-ups involving different specialists. In this context, MAGI was the first organisation in Italy to provide integrated patient support, certified by SIGU (Società Italiana Genetica Umana), involving different centres and specialists, for certain genetic diseases. A primary objective of MAGI is to meet the patient’s need for diagnosis. To achieve this objective the members of the MAGI group are each specialised in a particular area, prevalently in offering genetic tests, all classified as essential healthcare services, not available from other public or private laboratories in Italy. 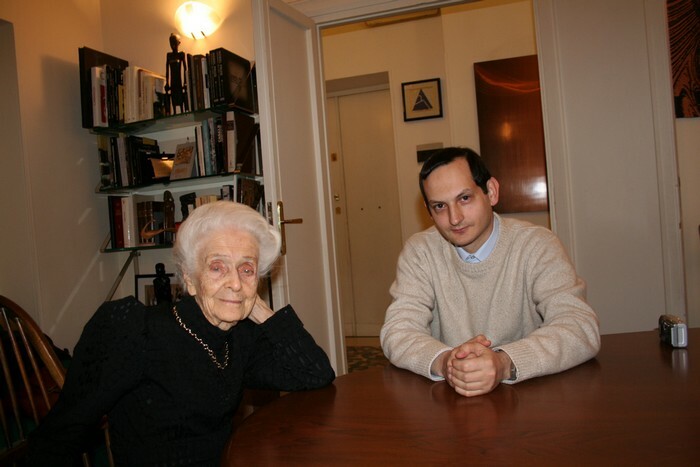 MAGI president Dr Matteo Bertelli with Prof Rita Levi Montalcini, Nobel Laureate for Medicine, who contributed to the foundation and development of MAGI.